Google+ Mom to 2 Posh Lil Divas: First Week of Preschool - Messy Play and Fun! 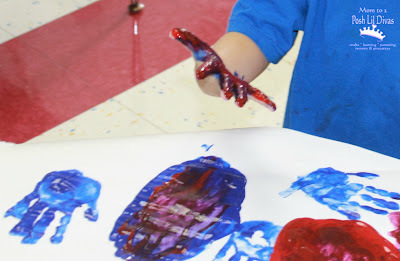 First Week of Preschool - Messy Play and Fun! I survived the first week of preschool and it was lots of fun for me and the cute kiddos in my class. 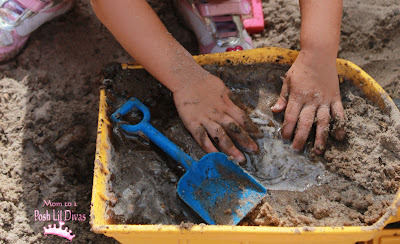 I thought I'd share a few photos of the messy fun and play that went on in my classroom last week. Our Theme - School is FUN! 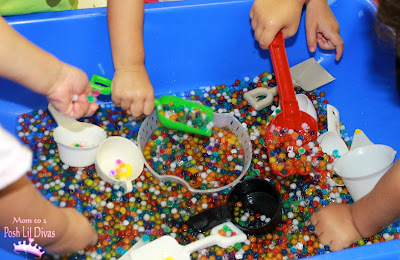 We played with water beads. Everyone was amazed at how much they grew over time. This activity has been such a HUGE HIT! The kids beg me to open our sensory table first thing in the morning. 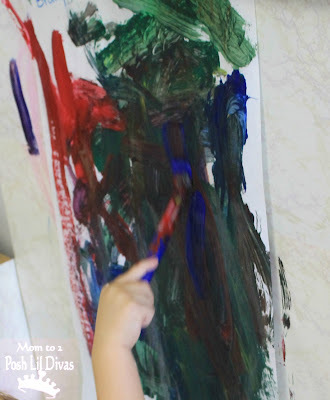 and doing lots of finger painting. 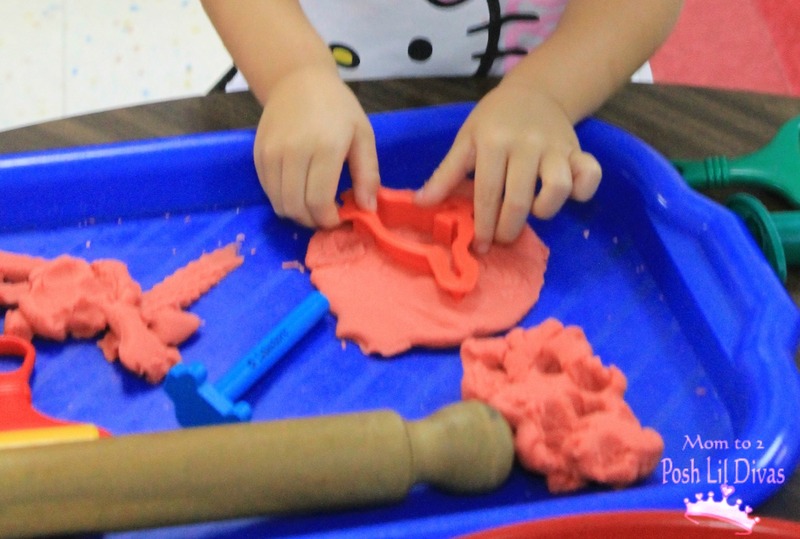 My class loves play dough. Last week I made No Cook Cherry Kool-Aid Play Dough. They really like the sweet fruity scented play dough. We made marble paint bees for our outside wall display. & they turned out so cute. I also cut hexagon shapes and let the kids each decorate one. Then I used them all to make a large honeycomb. story time and playground fun. The kids sure do know how to have fun on the playground. they are busy, busy, busy. Theme - I Am Special! Check back next Wednesday for a peek at what we did. 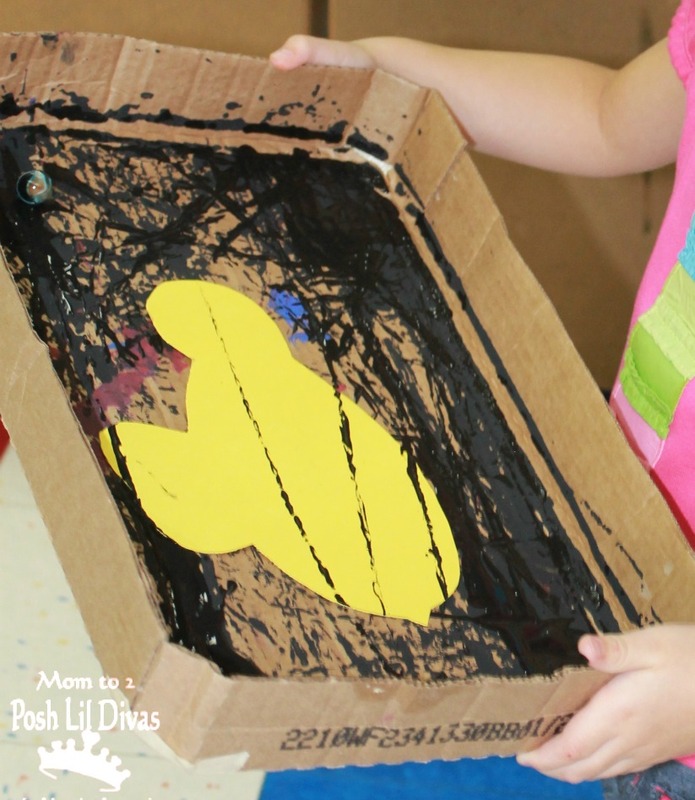 This looks so much like our preschool! What a great first week! We certainly had lots of fun and there will be so much more to come! what a fun idea for when we talk about fruits & veggies! Thanks for sharing. Looks like an awesome 1st week! I want to be in your preschool class... lol. you are welcome anytime Jen :) It was such a fun start to the school year. I am excited. What a fun little Pre-school! You seem like a very fun teacher! Congrats on your 1st week! Thank you Michelle. I certainly hope my kiddos feel that way. Seems like an enjoyable first week. Thanks for sharing. The school knew what they were doing when they hired you! What a great looking week! Thank you so much for saying that Eddie. I am excited about this year. 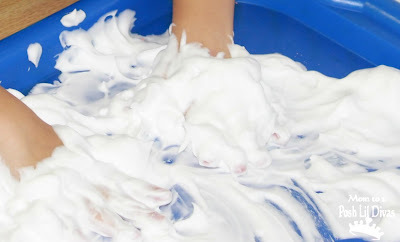 What a wonderful post and so many great resources on your blog. I am so excited to explore it more. Quick question, where did you buy the water beads? I found some on Amazon, but they looked to be packaged more toward flower arrangemetns so I was not sure if they would be the same non-toxic kid-friendly ones that I have been reading about. Thanks! Looks like such a wonderful week at preschool. Can't wait to see the next one. I agree! Sign me up to be in your class! Looks like you had a blast! Looks like a fantastic first week, Bern! Well done, you! The vibrant colors of the water beads make them look more attractive to kids. It makes them more fun to play with. Guys, if you need help to choose a right college for yourself, this blog post may help you.